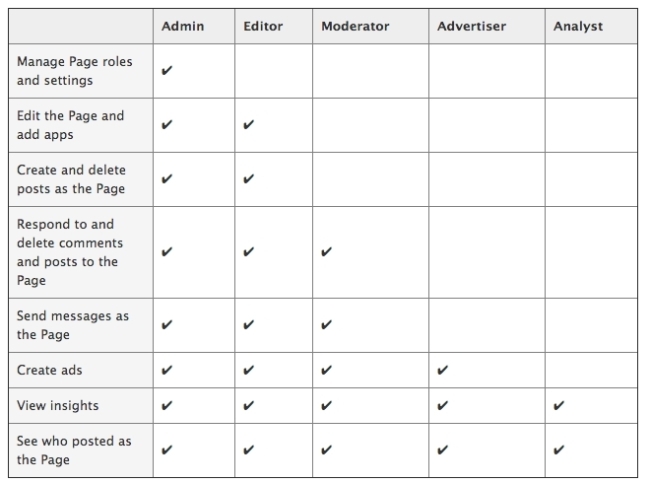 Facebook made some minor changes to the names of its various page administration roles, but their capabilities were not altered. We’ve made a few updates to the names of page roles. 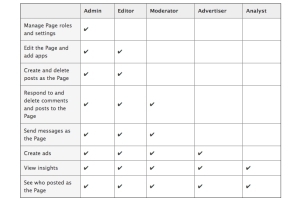 Managers are now called admins, content creators are editors, and insights analysts are analysts. Keep in mind that only the names of these roles, not what they can do, have changed. Thank you to Abs Elmaz of Social House Media for the tip.